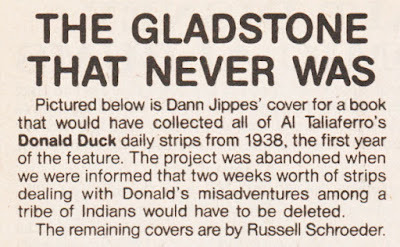 In the last issue of Gladstone's first run of Donald Duck comics we can read a short note titled "The Gladstone that never was"
The page also has three covers by Russel Schröder that probably was intended to be used on future Donald Duck issues. 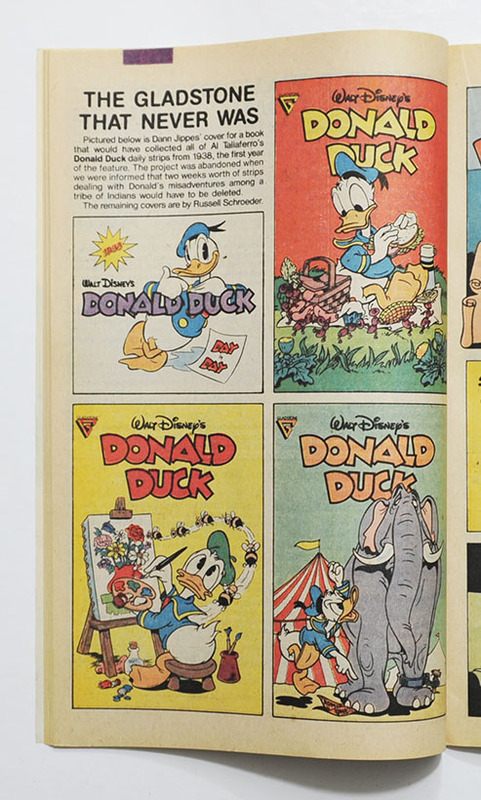 One was later used as a cover for Donald Duck #303 and one for Walt Disney's Comics and Stories #592, but the elephant one is still not used anywhere to my knowledge. It would be fun if we saw it as a variant cover or something some day. 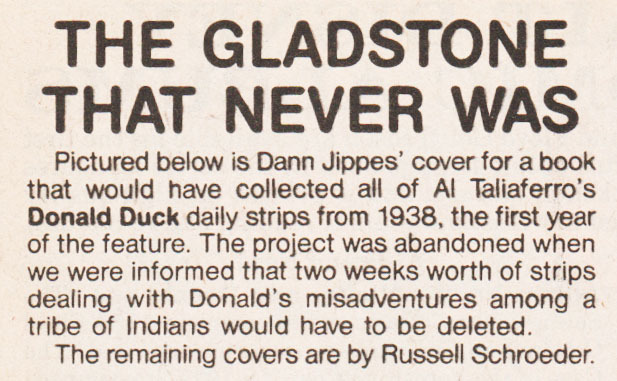 But the most interesting thing about that little note is that we almost had a Taliaferro daily strip collection back in the late 80's/early 90's! The project sounds like it's a similar concept as the Norwegian daily strip collection starting in 1987, also called "Day by Day" (translated). And books with the same format and content were later published in Sweden and Denmark too. 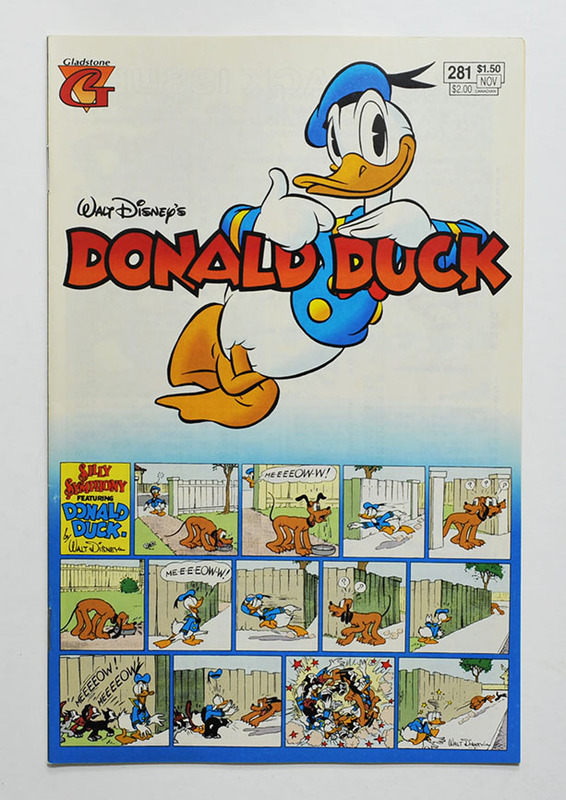 The Donald Duck cover by Jippes intended for the "Day by Day" collection was later used as a cover for Donald Duck #281 instead, when Gladstone resumed the Donald Duck series after a 3 years break while Walt Disney Publications was doing the Disney comics. 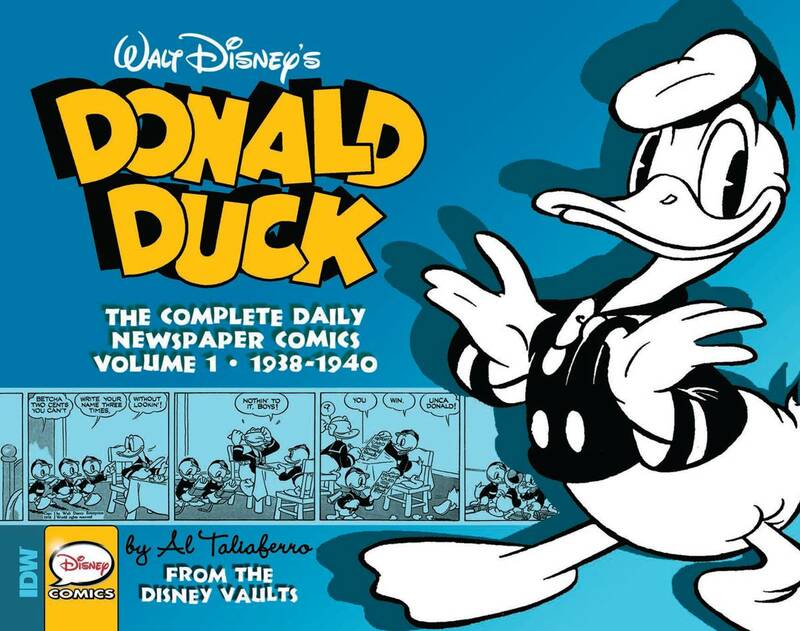 And now about 25 years later we finally got that daily strip collection in IDW's Library of American Comics – and luckily without any strips having to be removed or edited! 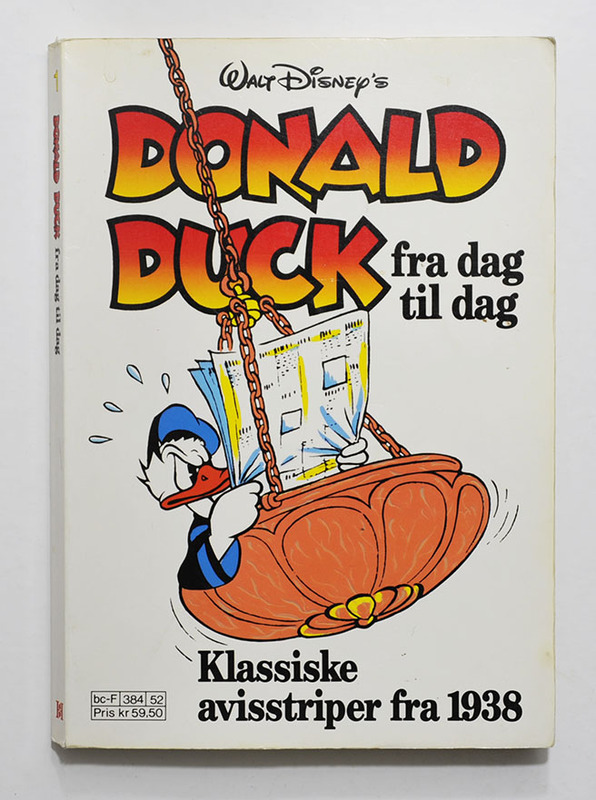 Donald Duck #281, with the Jippes cover inteded for "Day by Day"
Thanks, I'm glad you find the blog interesting! 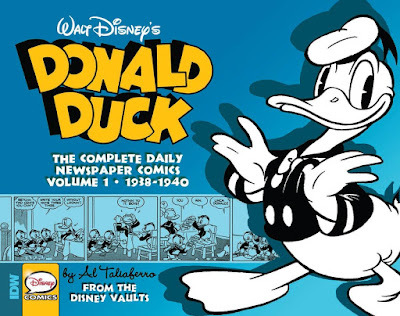 I wish I had more time to use on this blog, both to cover more of the recent comics (IDW publish a lot of great and interesting stories!) and to do more research into older stuff.